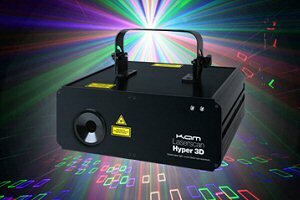 Kam Hyper 3d laser effect is the next generation of 3d lasers from Kam, superceding the Kam Laserscan 1000 3d. Featuring ILDA connection and programming [via a suitable software system] and 8 different effects in one box, this laser is exceptional value for money. it has a 1500mw [1.5w] diode and runs in either sound to light, auto, dmx or software mode for complete control at your event. 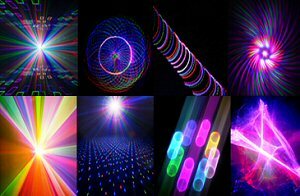 Choose room filling effects like star clusters, 3d projections, Kaleidoscope effects, Northern Lights effects and classic flat beam in-air tunnel & beam effects.